So great! even the girls loved this – and you will too if you enjoy your Indian food. 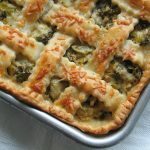 I borrowed this from Kyla at their new blog Blisteringly Drunk, and I didn’t change anything, I have simply listed here exactly what I will do for the thousands of times that I know I will be making this in the future. We enjoyed this last Friday with some naan and Yogurt Marinated Chicken. Heat the canola oil in a large skillet and add the ginger, garlic, onion and methi. Cook until all has softened and the mixture is starting to brown, then add in the 4 spices and cook another few minutes until the aroma takes off. Add in the diced tomatoes and mix well, lower the heat and allow it to cook together for another 10 minutes or so – it should be thick – this is the masala. 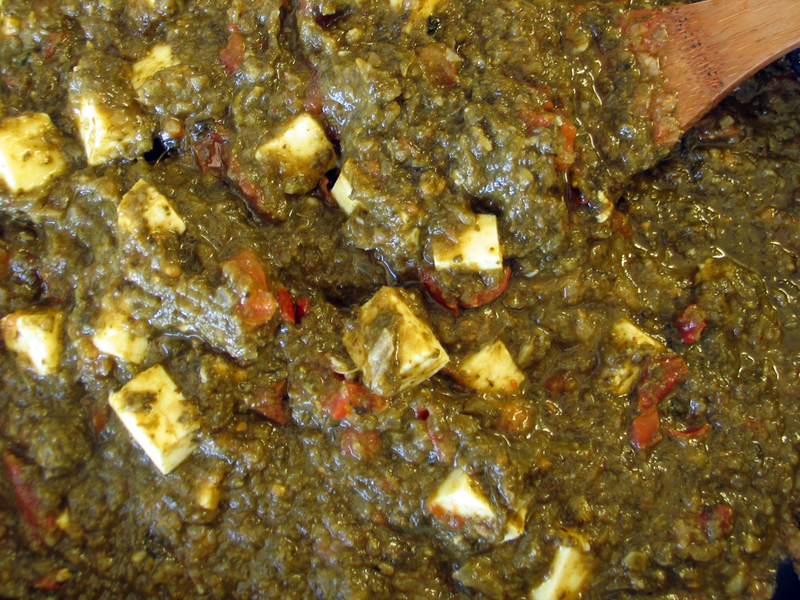 Add in the Saag and paneer and let it simmer on low for about 15 minutes – be careful to stir it regularly because it should be very thick and perfect at this stage. Serve as you like and enjoy!